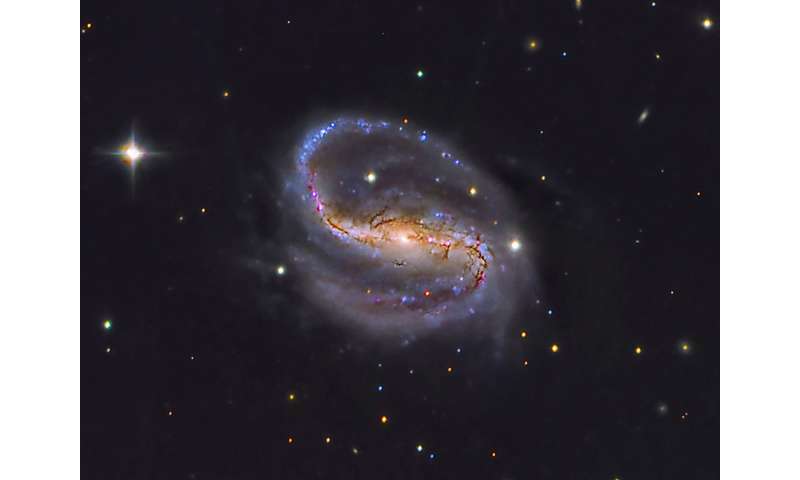 Barred spiral galaxy NGC 7479 located in the Pegasus constellation about 105 million light years and discovered in 1784 by the German astronomer William Herschel. Its central bar is highlighted and very luminous. Credit: Daniel López/IAC. An article recently published in the Astrophysical Journal by a team of IAC researchers show that bars in galaxies are rotating much more slowly than had been inferred by previous works. There is evidence of the superfluid dark matter every time a double slit experiment is performed, it's what waves.